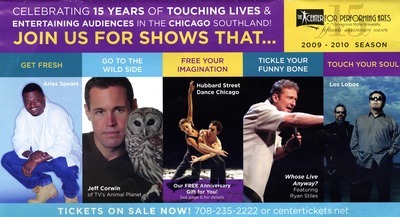 Brochure for the 2009-2010 season. 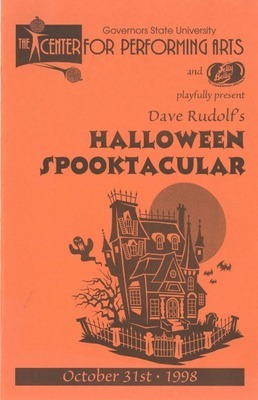 Programs for the October 31, 1998 and October 31, 2009 performances of Dave Rudolf's Halloween Spooktacular. 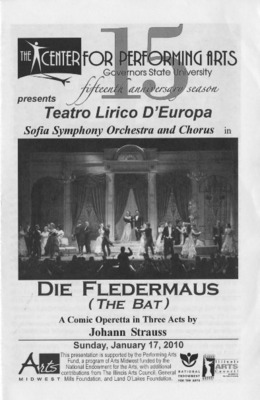 Program for the January 17, 2010 performance of Die Fledermaus (The Bat) by Teatro Lirico D'Europa. 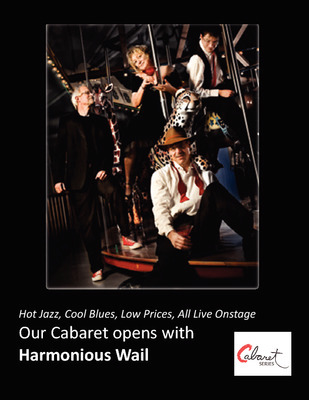 Promotional material and autographed playbill insert for the January 30, 2010 performance by Harmonious Wail. 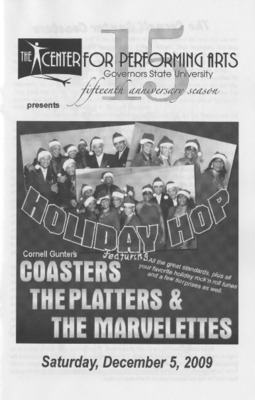 Playbill insert for the December 5, 2009 performance of Holiday Hop featuring Cornell Gunter's Coasters, The Platters, and The Marvelettes. 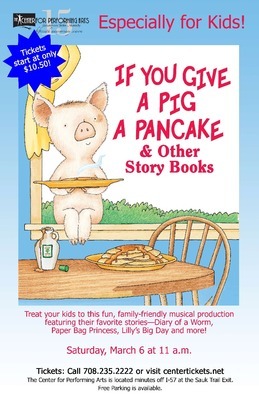 Promotional material and program for the March 6, 2010 performance of If You Give a Pig a Pancake & Other Story Books. 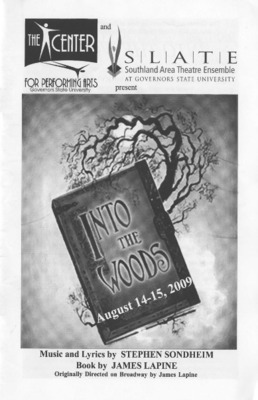 Program for the August 14-15, 2009 performances of Into the Woods by the Southland Area Theatre Ensemble (SLATE). 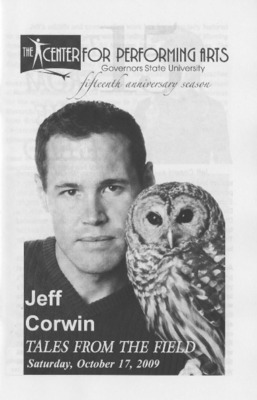 Playbill insert for the October 17, 2009 performance of Tales from the Field by Jeff Corwin. 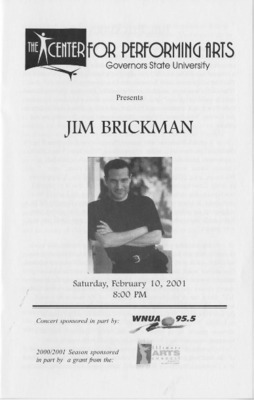 Playbill from the February 10, 2001 and an autographed playbill from October 3, 2009 performance by Jim Brickman. 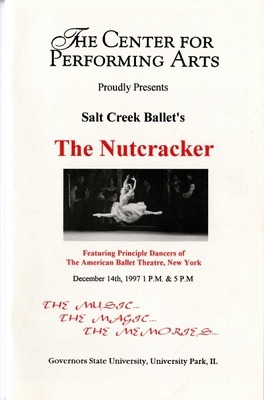 Includes autographed papers by Joanna Jahn and John Trones from their performance with Jim Brickman on October 3, 2009. 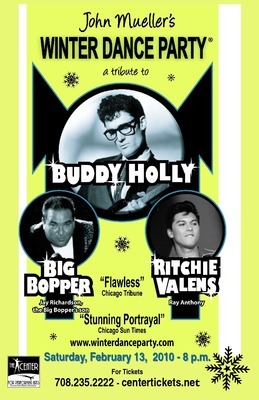 Promotional material and playbill insert for the February 13, 2010 performance of John Mueller's Winter Dance Party a Tribute to Buddy Holly, Big Bopper, Ritchie Valens. 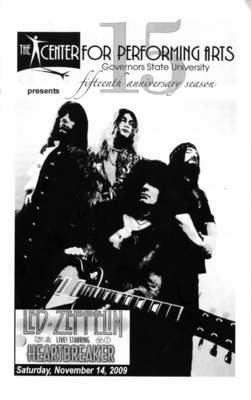 Autographed playbill insert for the November 14, 2009 performance of Led Zeppelin Live! Starring Heartbreaker. 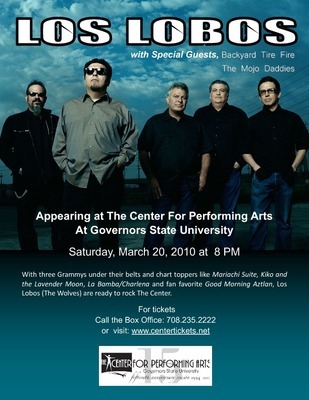 Promotional material for the March 20, 2010 performance by Los Lobos with special guests Backyard Tire Fire and The Mojo Daddies. 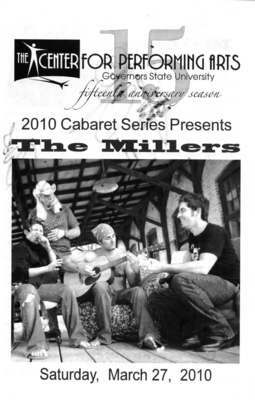 Autographed playbill insert and autographed paper from the March 27, 2010 performance by The Millers. 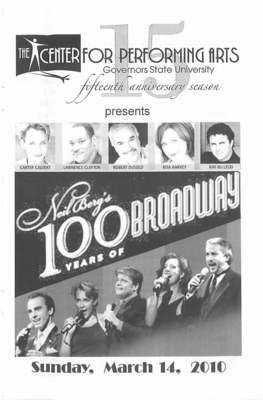 Autographed playbill insert for the March 14, 2010 performance of Neil Berg's 100 Years of Broadway. 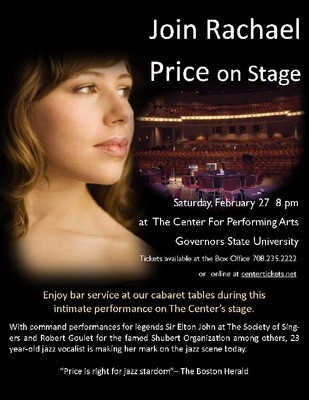 Promotional material, autographed playbill and paper autographed by Rachael Price from her performance on February 27, 2010. 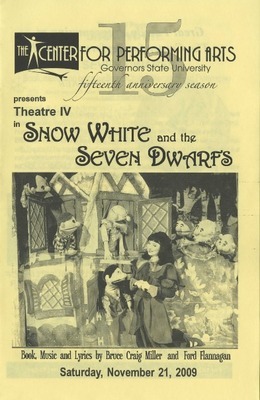 Program for the November 21, 2009 performance of Snow White and the Seven Dwarfs by Theatre IV. 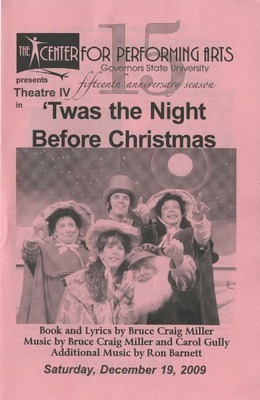 Program for the December 19, 2009 performance of 'Twas the Night Before Christmas by Theatre IV. 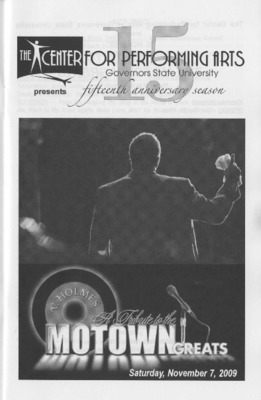 Playbill insert for the November 7, 2009 performance of V. Holmes' A Tribute to the Motown Greats. 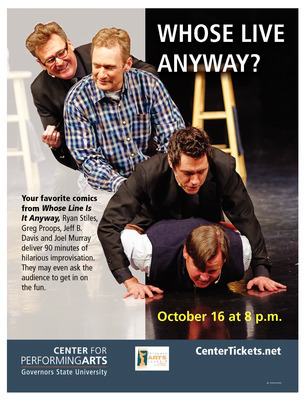 Promotional material and playbill for the October 16, 2015 performance of Whose Live Anyway? and autographed playbill insert for the April 30, 2010 show.